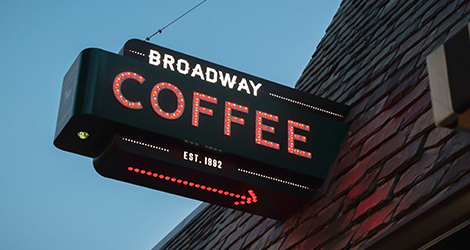 Brodway Cafe and Roasting Co.
cafes, and startups in the city. Getting to know who grows the coffee we roast is very important. Let's get to the source. Espresso concoctions, & fresh baked treats that pair with coffee. 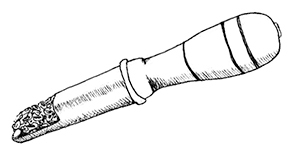 Order at the bar, and have it for here or to go. The quintessential coffeehouse. 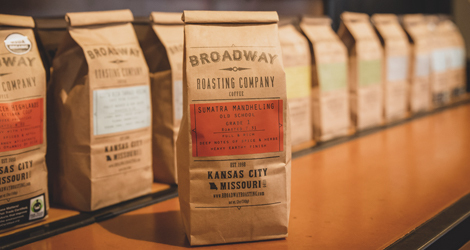 Order online from a selection of our finest coffees. Fresh roasted, and shipped quick. 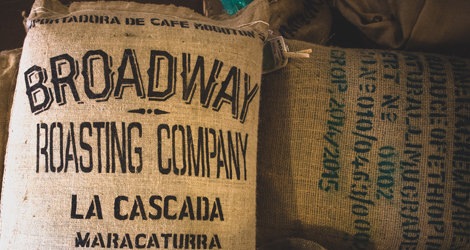 Green coffee arrives in 150lb burlap sacks from exotic lands. See it, Smell it, Taste it all under one roof.